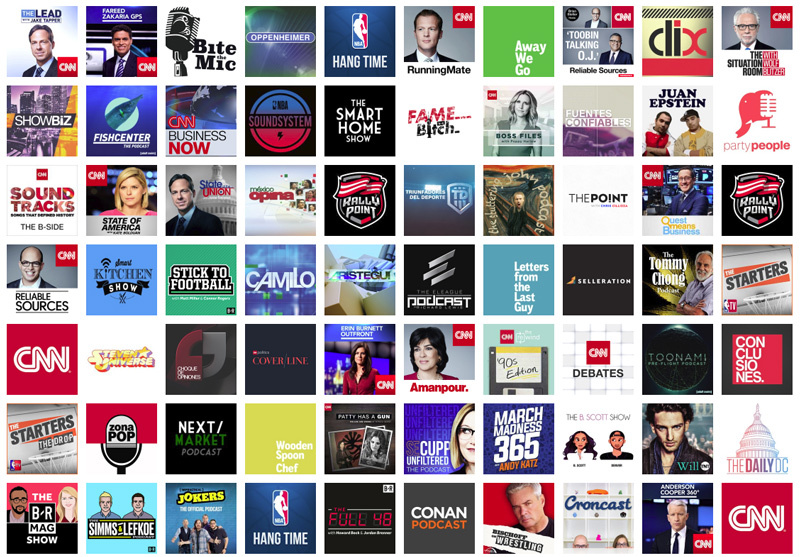 Advertise on podcasts from CNN, NBA, Bleacher Report, Forensic Files and more through our Marketplace. Podcast hosting and Alexa Flash Briefings for enterprise level publishers and podcast networks. Buy podcast advertising exactly the same way that you buy ads on Facebook, Twitter, Google, LinkedIn, and other digital platforms using a self-service or managed advertising platform and credit card. In the Knit Marketplace you'll get access to globally recognized names and content at unparalleled scale with complete control over every aspect of your campaigns just like with other digital platforms. Distributing, growing, and monetizing your podcast is 100% automatic with us. A platform designed to get producers in and out quickly, API's for custom integrations, or Alexa audio and video Flash Briefings. With the other guys you'd need $10,000 or more just to get started. People are willing to pay that, because it works. But you don't have to with Knit. We want to bring the effectiveness of podcast advertising to everyone. This is your chance to take advantage of this opportunity and run some podcast ads today.